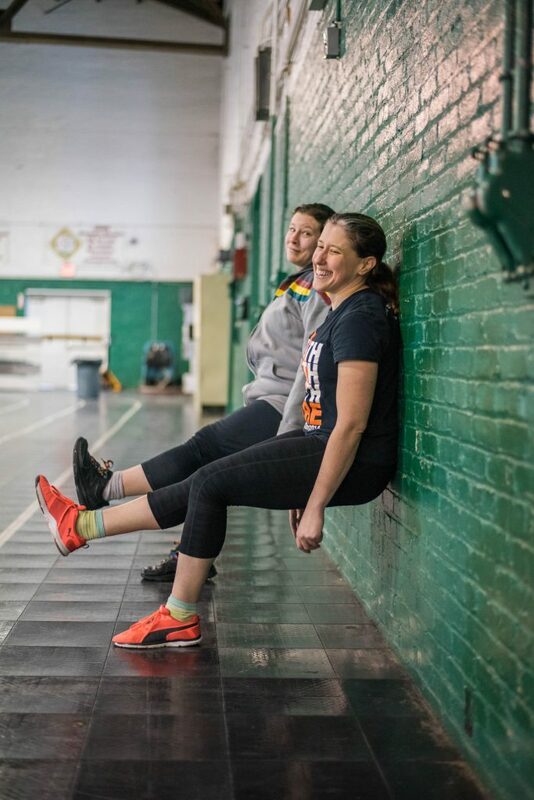 One of the first things roller derby skaters learn is how to get into “derby stance,” which basically means squatting (with wheels strapped to your feet, while moving around the track, and sometimes people try to knock you over). Getting into derby stance is one thing; maintaining derby stance is another. And that, my friends, is why we do squats. 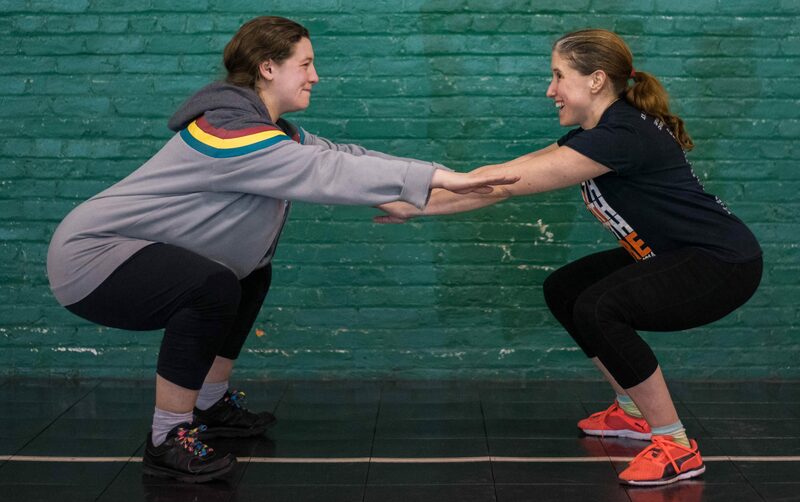 Here are some tips from our Coaching and Training team on how to perfect your squats, so you’ll be ready to join us in derby stance at one of our upcoming Skate It Out sessions! Do not let your knees pass your toes! This is the number one rule of squats and we all know it and yet there is always one person letting their knees just go hog wild. Don’t be that person. Keep your legs at a 90° angle. 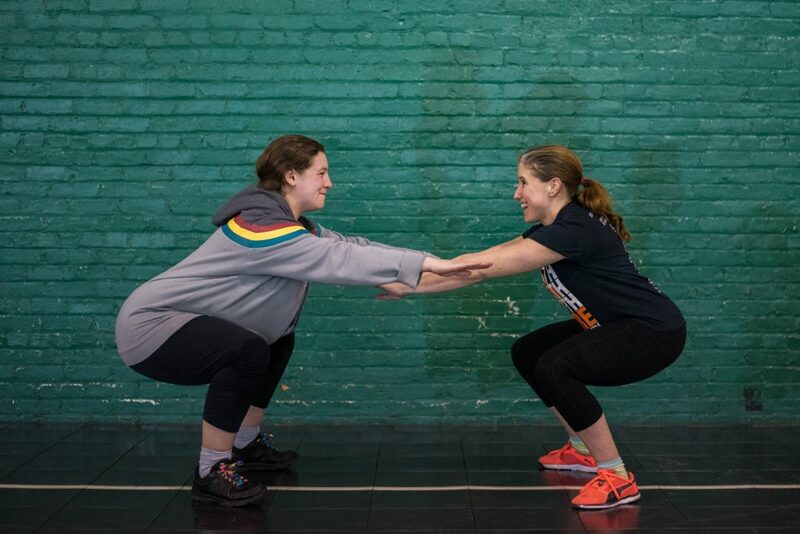 Work out with a friend who can watch you and keep you honest on this one. Or, work out with your very best friend and do squats in front of the mirror. Keep your chest up! Pretend you are Funshine Bear about to get your Care Bear Stare on. Your weight should be in your heels. You should be able to wiggle your toes the whole time. Pumpkin and her lovely assistant, Wil Crusher, were kind enough to demonstrate a bonus squat variation for you! 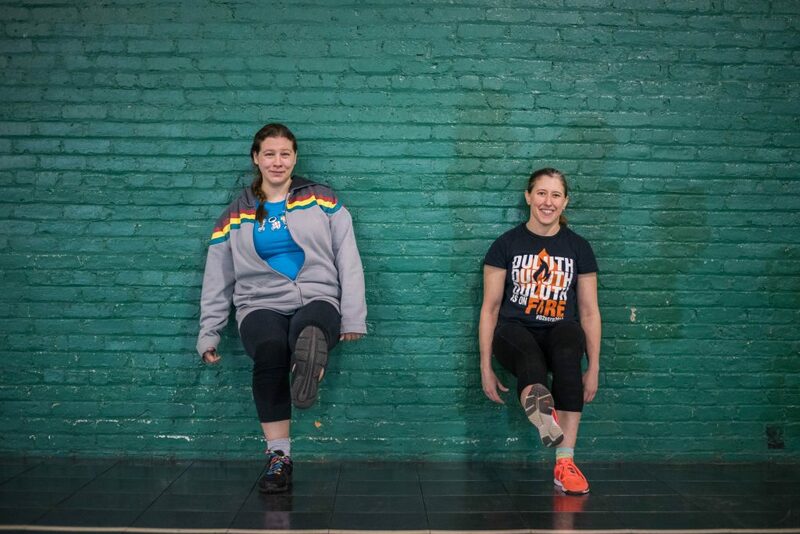 Here they are happily performing one-legged squats against a wall. When you’re feeling confident doing these against the wall, try moving away a few inches, then a few more. What are you waiting for? Get squatting! And come show off your derby stance at our next Skate It Out!